Not more than a few days ago, okay, maybe a week, I decided to spend the day reading rather than sewing. Sadly, this doesn’t happen nearly as often as I would like. It used to be that I would sit and read books for days. Now I’m lucky to stay awake for 20 minutes of reading before going to bed! I’m proud of myself so far this year, I believe I’ve already read 4 books! It’s only been a month. Back to my Saturday (or was it Sunday) of reading. I have been longing to have a copy of Miss Scarlet’s School of Patternless Sewing since first hearing about the book just after its release date. Various blogs I follow were promoting the book. I, of course, entered all the contests trying to win the book, but to no avail. 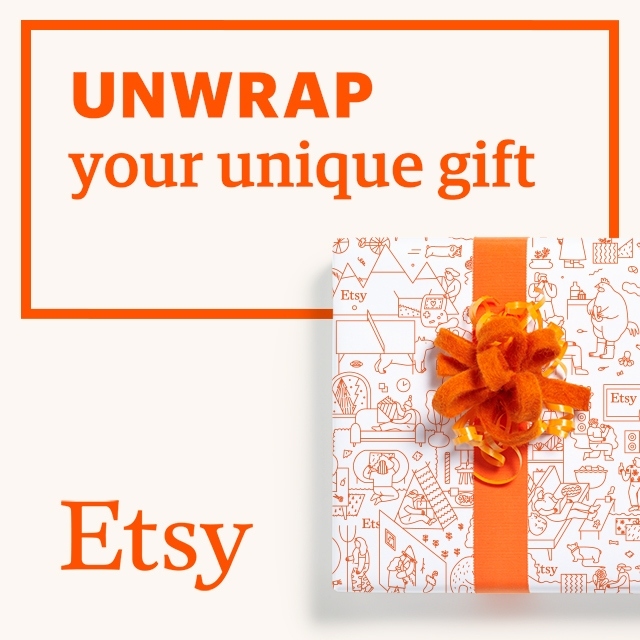 It even sat on my Amazon wishlist through multiple holidays and birthdays. I gave up hoping for a copy and bought my own. And then received one for Christmas from my boyfriend as well! The book was as amazing as I had hoped based purely on the title. I had no idea the premise of the book or any knowledge of the author before reading this book. I wanted to read it based on the knowledge that is was about a sewing school. I do this often when I see a book about vintage clothes, dressmakers, and sewing. I figure it’s a topic I enjoy, I’ll probably enjoy the story. I was right on the money with this book! Miss Scarlet is an up-and-coming designer with an eye for fashion thanks to lessons from her grandmother. We meet Scarlet just as she’s been accepted into the prestigious design school run by Johnny “Scissors” Tijeras, the nephew of her inspiration Daisy de la Flora. With only a few months to raise the funds, Scarlet decides to open a sewing school to teach her grandmother’s methods of patternless sewing. As with most chick-lit, everything that can go wrong does. Her jealous boss reneges on allowing the school to be held in her design studios, Scarlet ends up with only a few students, her family doesn’t understand. Yet through it all, Scarlet sticks to her guns and is determined to do anything to go to this school in New York. With the help of her new-found friends (her students), Scarlet very nearly succeeds. Though in the end, she has the final say in how to make events happen. Will she make the right choices or will she betray those closest to her to get what she believes she wants for her life? Trailer by Kathy Cano-Murillo. you can check out her blog here. Yeah, that’s what I thought. But I’m the one here with the sweet tooth, and my boyfriend likes the savory end. Don’t get me wrong, I like savory as well, but given the choice, I’ll take sweet. Though, the idea isn’t all that far-fetched. We already eat eggs and bacon, that’s savory. A few people even like steak for breakfast. But, a savory breakfast bun? That is just messing around with the perfection that is a cinnamon bun. Unless you side with my boyfriend and prefer the savory flavors. Which makes the Cheddar Swirl Breakfast Buns from Smitten Kitchen perfect. One of my Christmas gifts was The Smitten Kitchen Cookbook by Deb Perelman. I have been following her blog, Smitten Kitchen, for a couple of years. I have yet to be disappointed by a recipe. Her recipe book has been the same. Though I haven’t tried all the recipes, yet. There may be a few I avoid, such as the Mushroom Bourguignon (blech, mushrooms!). Though that may be the only vegetarian recipe my boyfriend would be excited about! My book already has stains! If I were to review this book, there are a few points I would make. First, I love that there is a story written before each recipe. Sometimes the story is about the development of the recipe, some of them are about what inspired the recipe. I admit to sitting down with the book just to read the stories! Did you know people in New York City often use their oven for sweater storage? I had no idea! Mine often isn’t cool long enough to store anything. Second, the photographs are awesome and one of the reasons I began following the blog. There are photos with every recipe. Photographs are necessary with recipes and menus, or you just don’t know what you are getting yourself into. Just remember not to compare to see whose is better looking. Finally, the directions are clear and concise. I wasn’t left wondering how long to cook something because the instructions said both an approximate time and how it should look. Such as “cook for 5 minutes, stirring occasionally, until onion is lightly browned.” I appreciate that detail in a recipe. And one more thing, there is an entire vegetarian section! With about a dozen recipes. I’m not vegetarian, but I still think that is awesome. As for the Cheddar Swirl Breakfast Buns (you’ll find them on page 49). They were yummy! I ate two! My boyfriend had three. That’s how I know they were really good. The process did take a while. I would recommend starting them the night before and following her directions for refrigerating them overnight. Unless you like waking up at 3 am to start breakfast. These will be made again. But I am thinking about making a couple changes. First, I’m going to half the recipe. The two of us don’t need 12 buns. 6 will do nicely. Though, they did last about a week in Ziploc on the counter. I’m also going to caramelize the onions. I think that will add a little sweet to the mix. I also want to add crumbled bacon. Because everything is better with bacon. Despite my excitement over this recipe, it will not be typed into this post. I really wanted to share it with you. However for two very big reasons, I will not be. First, Deb over at Smitten Kitchen has not shared this recipe on her blog, so I cannot link you to it. Second, upon learning this, I did some research into copyright law about sharing recipes and learned a couple interesting things. (Woo! a free lesson in copyright law. People pay lots of money to learn this stuff) First, I could list the ingredients, that can’t be copyrighted, but what good is a list of ingredients without the instructions. Second, the instructions are copyrighted. I would have to change the instructions significantly in order to share them with you. I believe that would be doing an injustice to the recipe. This leaves you with a couple of options for getting this recipe. First, visit me! Second, buy the book (this I highly recommend anyway)! Third, invite me to come visit you to make breakfast! Until then, you can just drool over my photos! My summer reading list went from fun and frivolous to serious in one giant leap! I realise that most read books that are light and fun in the summer. At least that is what advertisement lead me to believe, I’ve never actually check with real people about this. I find it easier to read the big, heavy tomes in the summer when my brain has less to worry about. I save up the chick lit and such for the school year when my brain needs a break from lesson writing and grading papers. I don’t often read memoirs, or non-fiction of any kind. I read enough of that for work. When I am reading for fun, I much prefer fiction. However, I neglected to read the back of this book and picked it up solely because of the title. 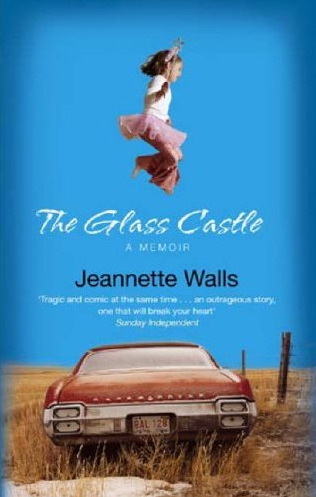 The Glass Castle by Jeannette Walls is a memoir of her upbringing. Had I not known this was non-fiction, I would not have believed it after reading the book. From the very beginning, Jeannette draws you into her world. She wove the web of her life into a wonderful story, capturing the essence of living life to its fullest possible enjoyment. I found myself wondering what my one thing would be as my family planned the skedaddle. As she grew older, she began to realise this wasn’t a normal way of life. Jeanette does her best to keep faith in her father’s dreams, but as she matures, the reality of their way of life sinks in. As this happens, we watch her mature and begin to fight against the pull to stay in this lifestyle. With careful planning, she and siblings work hard to take control of their own lives. I’m glad I took this little journey into non-fiction. I enjoyed reading this book and would recommend reading it. The story opened my eyes to how some of my students may be experiencing life. I stumbled across Sarah’s Key while searching for the recently published book The House I Loved by Tatiana de Rosnay. I have yet to procure a copy of that book, but I figured there is no harm in reading another book by the same author. I wouldn’t call this book your typical summer beach read (though that is where I read most of this book). Sarah’s Key is a very stirring and emotional tale. The book starts off in present day, well 2002, Paris where we meet American Journalist Julia Jarmond and her family. Julia has just been given the assignment to write about the tragic events of Vel’ de’ Hiv. An event that took place during the war in July of 1942. An event that has been overlooked and ignored by the French because of its brutal treatment of Jews, specifically children. Julia soon finds herself obsessed with this story. Through a bizarre link of events finds that her life is connected to the people whose story she is writing about. As we follow Julia’s path of discovery, we also follow Sarah’s story. Sarah was one of the children who were rounded up along with their families. As they were being taken, Sarah locks her brother in a hidden cabinet thinking she will be back soon enough to let him out. It soon becomes very clear that despite the fact that the French police are in charge rather than the Germans, this is much more serious than anyone could have imagined. All while Sarah is held captive, her concern lies with her little brother locked in the cabinet. This concern finally pushes her to act and brings on a daring chain of events that begin with escaping a prison camp. This book is very well written. Despite it’s heavy, tragic topic, I found the book was easy to read. The switching between two story lines every other chapter added depth to the merging of the two stories later in the book. I have also discovered that the book has been made into a movie. Even better, this movie is on Netflix. The only downside it that the movie is in French (which I don’t speak). I’ll either have to learn French in the next couple days, or set aside all projects and watch with subtitles! I may need to set my reading goal a bit higher. Last week, I read three books! They weren’t very long books and the topics were fun, so they were quick reads. I am enjoying the Plum series by Janet Evanovich. I believe they are classified as mystery novels in the bookstores. I think they are a little bit chick lit, a smidgen romance, and heavy on the comedy. How serious can a book be when your Grandma tests out your gun on the chicken you are eating for dinner? Stephanie Plum is an amazing bounty hunter, she always gets her man (or woman), and never has any complications. At least that’s what she aspires to become. Currently (and for at least 18 books), she keeps her gun in the cookie jar, rarely makes a capture on the first attempt, and often has someone trying to kill or capture her as well. Though it’s never her fault! Let’s not forget her ability to maim and destroy cars, trucks, vans, and SUV’s at an alarming rate. Or her affinity for Tasty Cakes, doughnuts, and birthday cake! At the beginning of the series, Stephanie blackmailed her cousin Vinnie into giving her a job as a bond enforcement agent. She needs to make some money fast to keep her life afloat after her nasty divorce and losing her job. The job was intended to be temporary, only Stephanie finds she likes it, when people aren’t also trying to kill her. Which happens often as bringing people to jail doesn’t get you on their good side. I could probably type all night and still have only covered the basics, but really I want to go finish the next book! These books are great, quick, funny reads. I highly recommend grabbing the first one “One for the Money” to take with you to the pool or beach. I have just finished reading Fearless Fourteen, Finger Lickin’ Fifteen, Sizzling Sixteen, and Smokin’ Seventeen. I guess that is four books. Summer vacation is great! 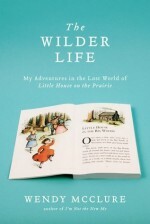 From the moment I first heard about Wendy McClure‘s book, The Wilder Life, I knew I had to read it. I grew up in South Dakota. Thankfully, not in a shanty built by my Pa. Though he did do quite a few renovations to our home over the years. I have always felt a kinship with Laura, but only because I grew up in the same state. I do remember reading the Little House books. Though most of my knowledge of Laura comes from watching the show after school. I remember one year, my Oma bought my sister and I bonnets on one of her summer trips. I loved my bonnet and wore it whenever I could; always down my back just like Laura. My first sewing project was inspired by Little House. I was 8 or 9 and absolutely needed a long gingham skirt to wear with my bonnet. Rather than just make one for me, my mum took the opportunity to teach me how to sew. That afternoon, I learned how to cut out a pattern, sew seams, make an elastic waistband, and stitch a hem. I also remember playing Little House on the Prairie with my sister, brother, and cousins. There are photos somewhere of all of us dressed up as characters from the story. I haven’t even mentioned the book yet! I read this book based on the title and the knowledge it was about Laura and Little House on the Prairie. I kind of thought it was a fictional novel. I was pleasantly surprised as I began to read the book. I found the book engaging and at some points I just had to read a bit more before going to bed. Who knew exploring the life of Laura Ingalls Wilder could be so interesting? I must applaud the author for the lengths she took to explore Laura World. Searching down a butter churn just like the one Ma used took considerable effort. I would also like to try making butter, but I think I’ll use my Kitchen Aid. I do want to take a trip up to South Dakota and spend the night in a covered wagon. I also want to track down the Japanese Anime rendition of Little house! This may be my favourite book by Sophie Kinsella. Twenties Girl is still very much a chick lit book, but with a ghost and a mystery. Like many young women, Lara is struggling to sort out life. She’s recently split with her boyfriend (he left her and she hasn’t quite accepted it), the business she started with her friend is flailing (and she’s learning her best friend hasn’t been telling the whole truth), and to top it off she’s now being haunted by her great-aunt Sadie (who has come back as a Twenties Flapper). Through a myriad of adventures, Lara and Sadie find themselves in some unusual situations. My favourite is when Lara agrees to ask someone out so Sadie can go on a date with the handsome Ed from America. Let’s not forget the main focus of the book, to search out Sadie’s lovely dragonfly necklace. A search that has Lara claiming her aunt was murdered, sneaking into houses, and uncovering some interesting family history. 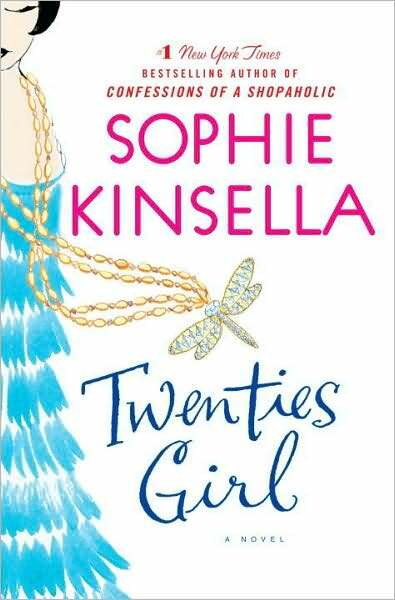 If you want a quick beach read with some intrigue I would highly recommend Twenties Girl. This books marks my goal for the summer reading challenge hosted by Caiti at Life is a Canvas. I hope to finish a few more books before the September 1st deadline.